We’d love your help. 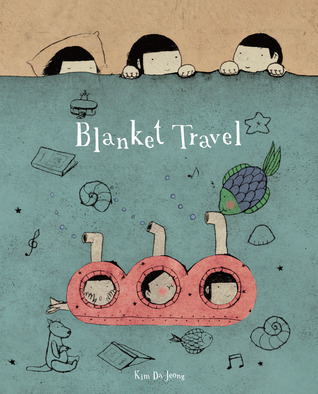 Let us know what’s wrong with this preview of Blanket Travel by Kim Da-Jeong. What do you do when you can’t fall asleep? Travel, of course! In this whimsical, heartwarming tale, two siblings reassure their sister that nighttime is not a scary time. Not when there are places to go and oceans to explore—and it can be fun when they do it all together. To ask other readers questions about Blanket Travel, please sign up.